Forgiveness is an often misunderstood concept in therapy. 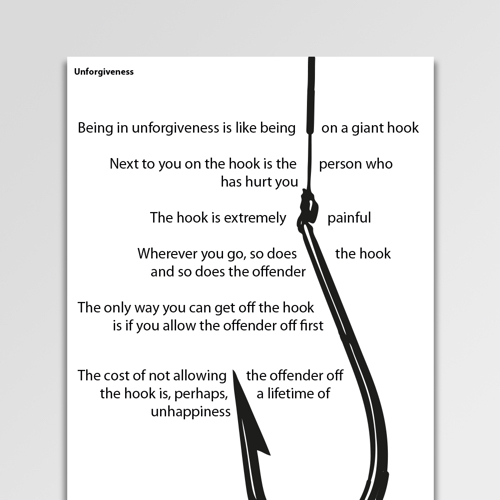 This unforgiveness hook metaphor is a striking representation of the consequences of remaining in a state of ‘unforgiveness’. 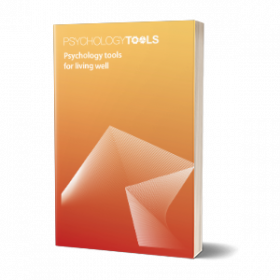 Forgiveness is an often misunderstood concept in psychotherapy, which is a shame because there is a fantastic literature on helping clients to forgive. 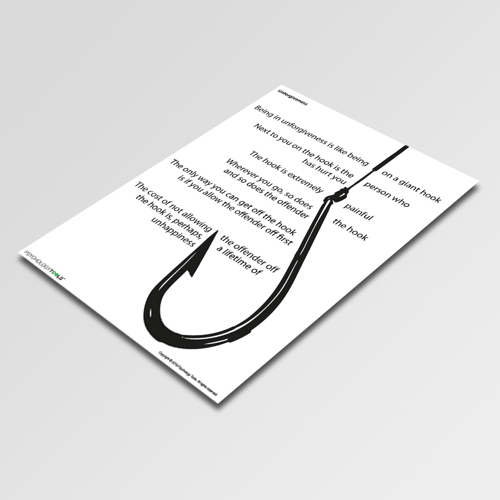 The Unforgiveness Hook Metaphor is an illustrated information sheet based upon a metaphor originally suggested by Steven Hayes. The message is that holding on to anger maintains a link between the hurter and the hurtee which can be damaging. Enright, R. D., Fitzgibbons, R. P. (2000). 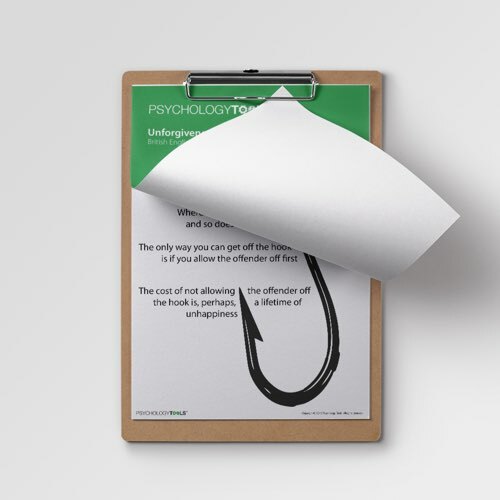 Helping clients forgive: An empirical guide for resolving anger. New York: American Psychological Association.